this is an old picture of me practicing crow pose. i practiced crow pose today in my office on my lunch break. i like to do yoga at work. i close my door, dim the blinds, get on my mat, and let it go. i really needed to let it go today. after all the emotion of the election, we barely slept. i consumed way too much coffee during the morning. i couldn’t focus my mind. so i slipped into my sweats, shut my door, and flew. i first came to yoga for the physical benefits. i thought all the pranayama (breathing techniques) and other limbs of yoga were admirable, but not for me. i didn’t think yoga could make me happier or more whole. after two years of practice though, i am finally opening up to these possibilities. i am letting my practice reflect and balance my life. i am counting on my practice to have my back. i am coming to yoga to learn about myself and what makes me happy. i came to my mat today distracted, tired, and overwhelmed. i trusted. i breathed deep. 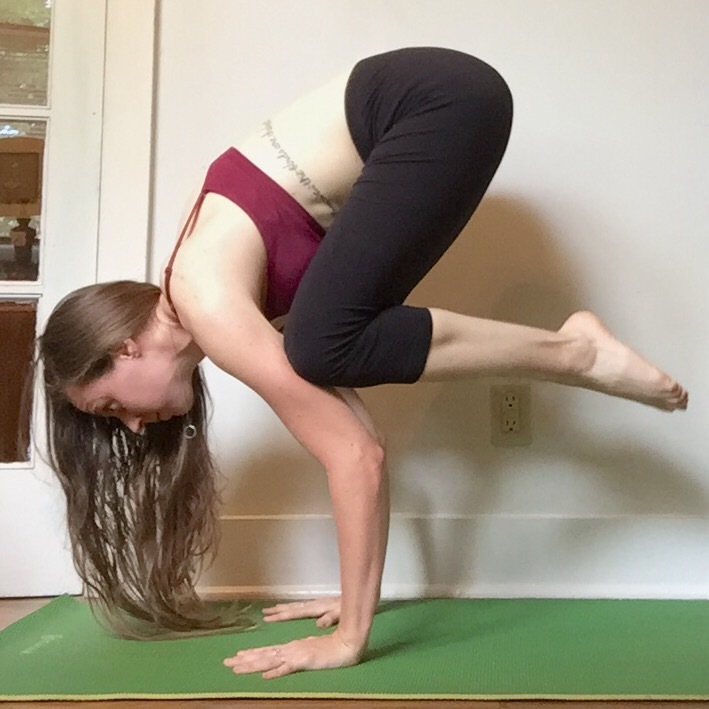 and before i knew it, i came to crow pose, flying. i felt empowered. i understood that i along am responsible for my happiness in this world – not the politicians, not my loved ones, not the people i disagree with – me, christine elise, can control my life. i cried a little. i felt grateful. but more than anything, during and after my practice today, i felt love. i texted andrew as soon as i finished to tell him how much i love him.